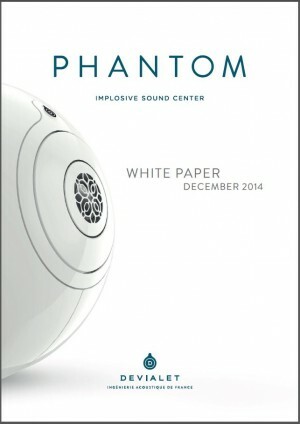 Devialet announces their new Phantom (750 watts/99 db SPL – $1990 each) and Silver Phantom (3000 watts/105 db SPL – $2390 each) Implosive Sound Centers. Both feature ADH Integrated Cybernetic Intelligence and Heart Bass Implosion. 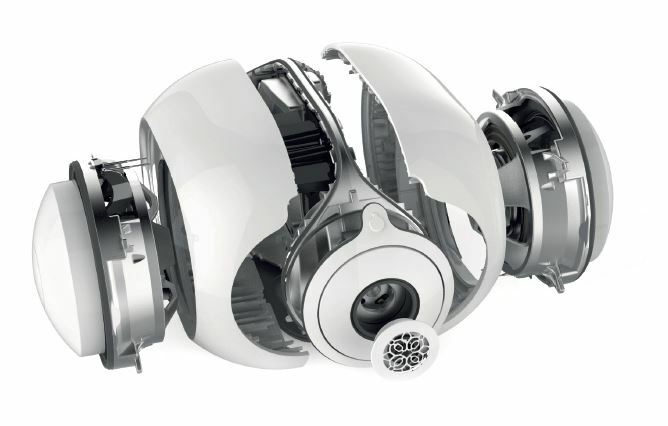 These compact powered speakers measure 10″ x 10″ x 13.5″ and can be configured for mono, stereo, or surround systems. Digital signals can be fed to the Phantoms via Dual-band Wi-Fi (a/b/g/n 2.4 GHz & 5 GHz), Ethernet RJ-45 10/100/1000 Mbps (Gigabit), PLC Homeplug AV2 or Toslink optical input (TV, blu-ray, video games console, …). Devialet specs the Phantoms’ frequency response at 16Hz to 25kHz. The Phantoms are compatible with the existing range of Devialet amplifiers and with their brand new intelligent audio router called DIALOG. DIALOG creates a full wireless audio system in high resolution throughout your home, and can control and synchronize up to 24 PHANTOMs. 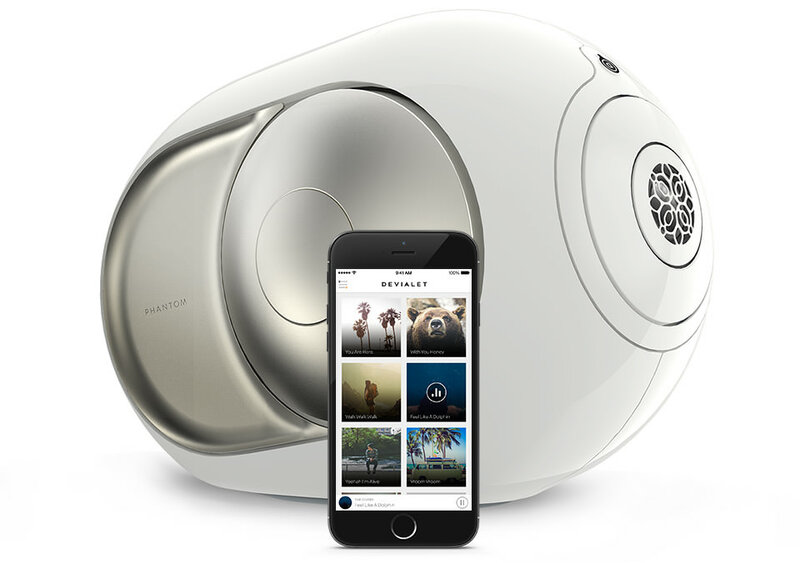 Thanks to the SPARK application, your PHANTOMs can be used alone as an independent music system, or grouped in pairs as a classical stereo installation, or in a scalable multichannel system with 3, 4, 5 PHANTOMs or more. Supported OS are Windows 7+, Mac OSX 10.9+ iOS 7+ and Android 4.4+. 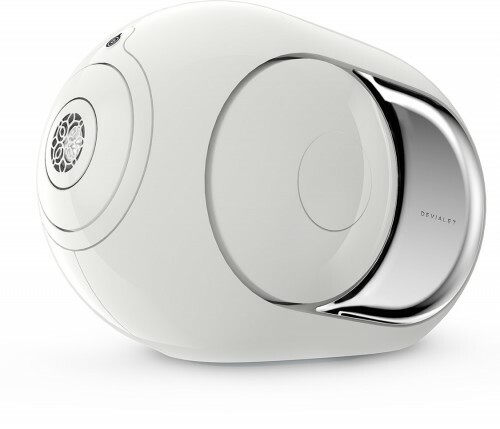 Contact The Audio Salon to make an appointment to hear the amazing new Devialet Phantom. 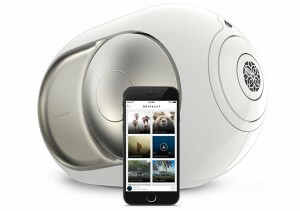 Dialog is the center of Devialet’s acoustic pleasure experience: ultra-powerful, it deploys a multi-network system in your home which connects all your devices together, and lets you share playlists with your friends. Dialog gives you access to a world of high speed acoustic pleasure. With a computational power equivalent to that of the best computers, Dialog creates the most reliable existing network (a PLC network and three hyper- powerful wifi networks of 300 megabits/second at two bandwidths: 2,4 and 5 GHz). with Dialog, your friends can enter your Devialet universe and share their music, in an independent « guests » network that is compartmented and secured, without configuration constraints and password free. At a party, every guest can send its music to the playlist, and everyone can « push » their songs before those selected by others: stay alert to avoid being overtaken! Dialog is entirely evolutive and continually upgrades itself to remain the best acoustic pleasure center imaginable. 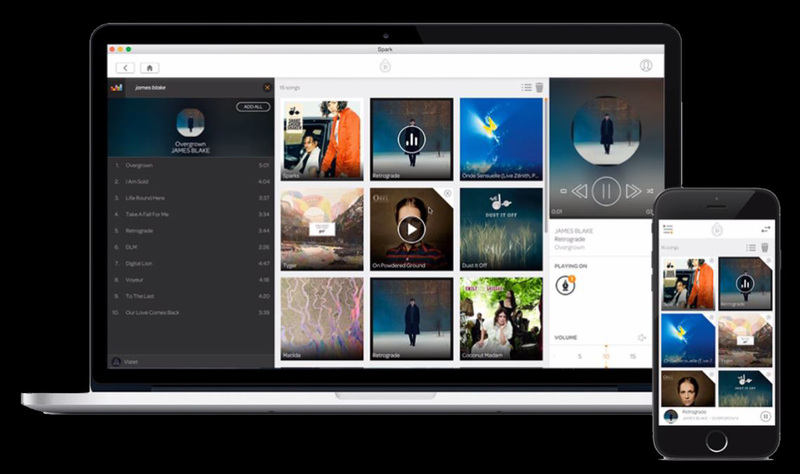 At a party with other people, access the music of all your connected friends, and create playlists in real time shared by every participant, where everyone instantly places their favorite tracks, rearranges the order or pushes their own music. 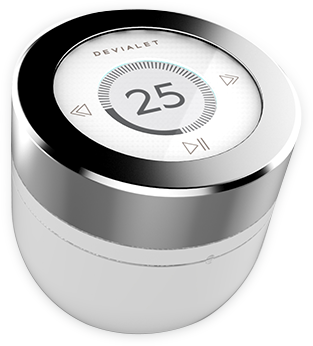 Choose the rooms in which you wish your Devialet devices to play together, at which volume, and on which tracks. 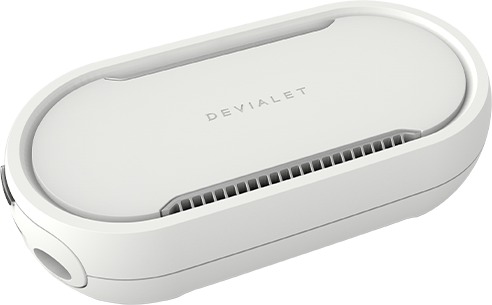 Like every Devialet product, SPARK upgrades itself, for a continually improved experience. Branch is Phantom’s intelligent base. Thermally connected, Branch maintains Phantom in ideal functioning conditions, even in extreme volume and duration conditions. Their perfect symbiosis indefinitely extends Phantom’s performances. Adjusted with millimeter accuracy, Branch elevates Phantom to the ideal listening angle for all your movements and states of trance. Remote is Phantom’s intelligent extension, it drives it with a new zero latency data transmission technology. What Remote lives is instantly lived by Phantom. Remote shares Phantom’s ergonomy and technological requirements: it is equipped with a microprocessor controlling ultra reactive capacitive sensors, a 100 frames/second e-paper screen and an accelerometer. A technological miniature that will always stay awake and will be autonomous for more than two years.